I'm pleased to announce that Greyhawk and Mrs. G of the Mudville Gazette will be moderating the on-line forum of the Milblog Conference. For the troops who are blogging from theater, or anyone else who cannot physically attend the conference, the VFW will offer video feed of the event. You will be able to log-on and view the conference from any location worldwide. There will also be a chat-room for this forum, and the Greyhawks will moderate the discussion. We're all pleased to have the Greyhawks participate in this event. I also want to thank the Departmental level of the VFW, once again, for their tremendous support for this conference. Sure do wish they could be there in person -- but we'll take their input and assistance with open arms! WHOOOHOOO! 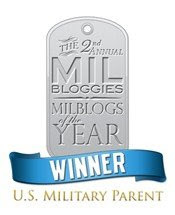 The 2006 Milblog Conference is designed to bring milbloggers together for one full day of interesting discussion on topics associated with milblogging, and will explore the history of milblogs, as well as what the future may hold for this medium which the military community is using to tell their stories.The milblog community is diverse, and we intend to showcase the full spectrum of milblogs, including those who have blogged from theater, veteran members of the armed forces, spouses and parents.Due to seating limitations only 300 seats can be guaranteed. Non-milbloggers and non-bloggers are welcome to attend the conference, but because this conference is for milbloggers, milbloggers will be allowed to pre-register: 150 seats are reserved for milbloggers who wish to attend. 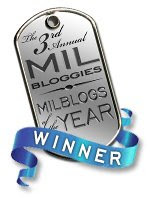 Any unclaimed milblog seats will be released to non-milbloggers and the public.Registration for this event is free of charge. Pre-registration will begin on February 8 and continue through midnight February 15. Any slots not filled by milbloggers will be given to the general public. Registration for the public will begin on February 16. All registrations are first-come, first-serve.For our troops and others who are unable to attend the event, live video feed of the conference will be available so that you can log-on and watch the conference from any location worldwide. Hearty thanks to the Departmental Network of the Veterans of Foreign Wars, who have graciously donated time and resources to this conference and have been invaluable to this effort. The VFW designed the conference site, are hosting it and will be running the video feed. SURE HOPE TO SEE YOU THERE!!! The conference is not sponsored, sanctioned, censored by, or in any way affiliated with the Department of Defense. Gosh... Gee... Golly Gosh, Guys... Thanks!